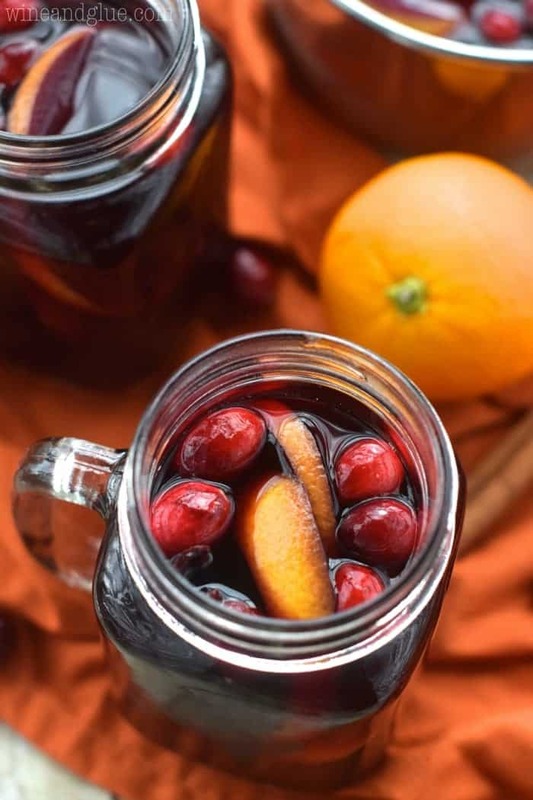 This Cranberry Orange Mulled Wine is the perfect drink for your holiday party and a great Thanksgiving Recipe! 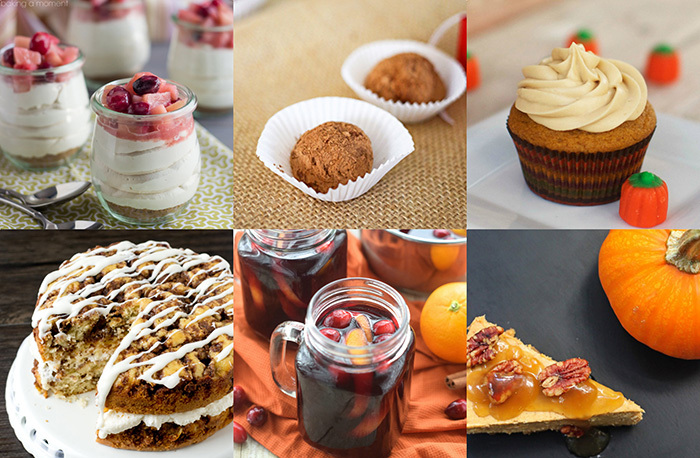 So many great bloggers have come together today to get your menu all set for Thanksgiving! Make sure you scroll to the bottom of the post to get all the recipes you need for a delicious turkey day! Guys, today is such a fun and exciting day! I’ve teamed up with a bunch of other talented bloggers and we have more than 25 Thanksgiving Recipes to fill your holiday table! I know that looking for the perfect recipes to share on Thanksgiving can be a daunting task, especially when you are like me and you like to do slight variations on the classics with BRAND NEW recipes each year. Well, fear not! Now you have a whole bunch of brand spanking new recipes to try out for this year! What am I bringing to the table? 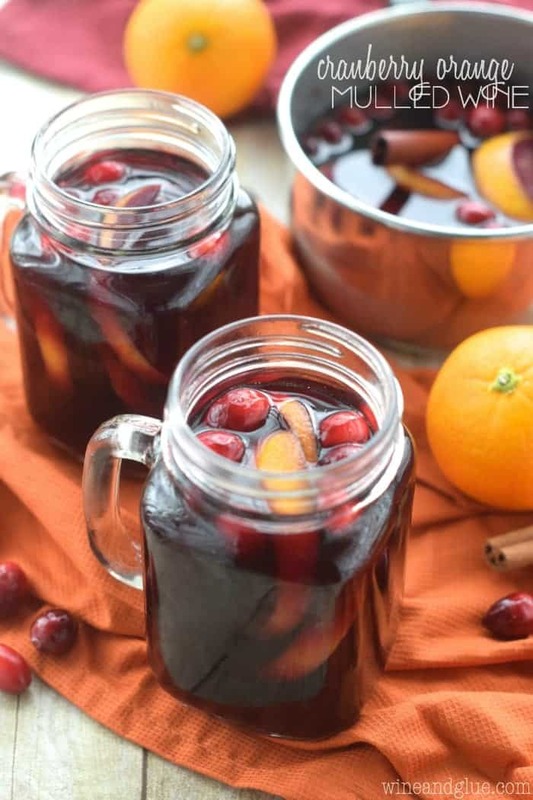 This amazing and delicious boozy mulled wine! Okay, full confession. This was supposed to be a sangria that could also double as a mulled wine. That way you could have the best of both worlds. A cold drink for the cold drinkers and a hot drink for the hot drinkers. And I think it would have been fine, except that I let it sit in my fridge too many days. It was still delicious cold, but when I heated it up, it got too woodsy from the cinnamon sticks. So I tried it again and went straight from mixing it to cooking it, and it was YUMMY. So! This is my advice. If you know you have some guests coming who prefer a cold sangria, serve it to them cold. They will still love it. They will still get drunk and merry and find it delicious. However! If you have guests coming who prefer a piping hot cocktail on a cold blustery Thanksgiving day, put this in front of them warm. The cloves and the cinnamon bring all the flavors together so perfectly. Combine all ingredients in a large sauce pot. Bring to a quick boil, then reduce to a low simmer for 10 minutes. Serve warm in mugs. This recipe is amazing the first time, and slightly less amazing (though still really good!) the second time. But it's easy to cut in half, just use a cup and a half of the wine, instead of a full bottle. If you want your drink to be less boozy (but why???) cut down the brandy to one cup. If you want your drink to be less sweet (but why???) cut down the honey to 1/4 cup. I would definitely need two glasses of this goodness Lisa! And this blog hop – brilliant! Off to do some pinning! Thanks Amy! It is the perfect thing to curl up with on a cold day! This recipe is way too dangerous. I think I would drink way too much! 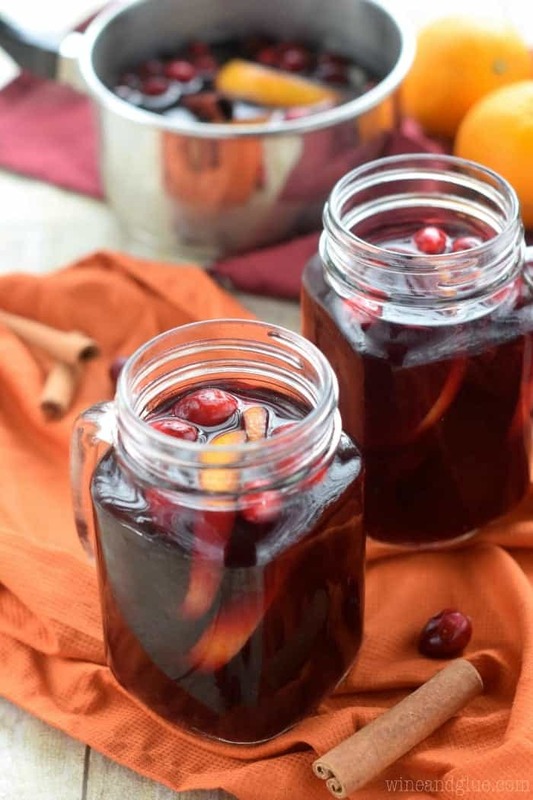 This is the perfect drink to celebrate any fall/winter holiday, Lisa! Or a freezing Wednesday night in front of the TV…whatever. 😉 And I’m totally with you on the “but why’s???”…ha. Thanks so much for sharing this as part of our Thanksgiving Menu Blog Hop! Samantha @ Five Heart Home recently posted…Maple-Glazed Turkey with Bacon and Sage Butter + Thanksgiving Recipe Blog Hop! Lol! Thanks for all your hard work organizing Samantha! How do I decide what to cook? That menu is AMAZING! And so is this wine. I’ve never had mulled wine and I’ve always wanted to try it. Now is the time! Isn’t it great! 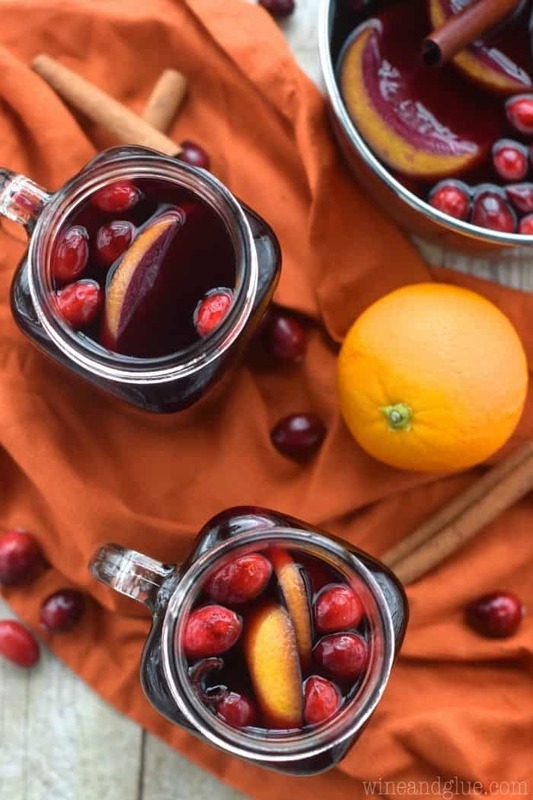 You for sure have to try mulled wine! It’s like mixing the warmth and comfort of coffee with wine! Winning! This looks great! Do you think it could be left simmering in a crock pot on low? Good question Kerry! I would personally be willing to give it a try, but I will caution you that I’m a risk taker in the kitchen, and I don’t know if it would work. But based on a few recipes I quickly googled, it looks like it would work.